Goalrobber camps come with a guarantee that the lineup of staff members will not only be qualified, but will exemplify outstanding integrity and impeccable character. Nate Speidel grew up playing hockey in rural Hazen, ND. 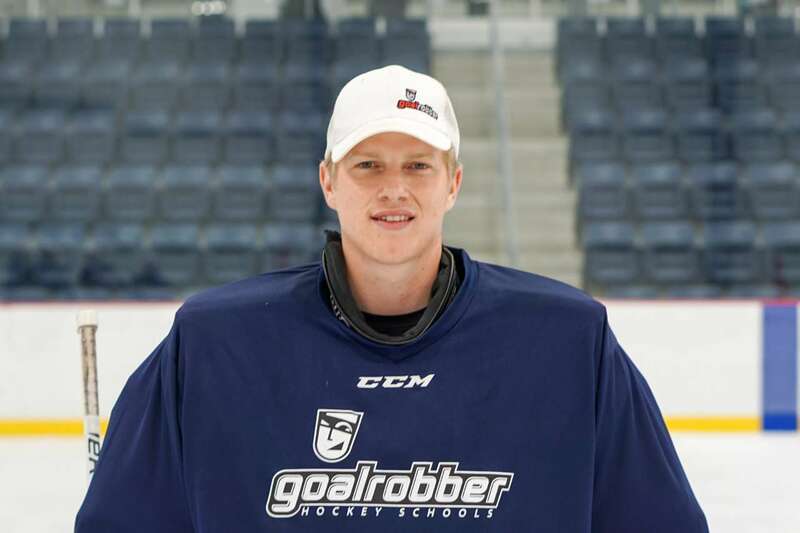 During his 3-year high school career he posted a school record high 93.6% save average, achieved All-Region and All-State honors, and established himself as one of the top goaltenders in North Dakota. 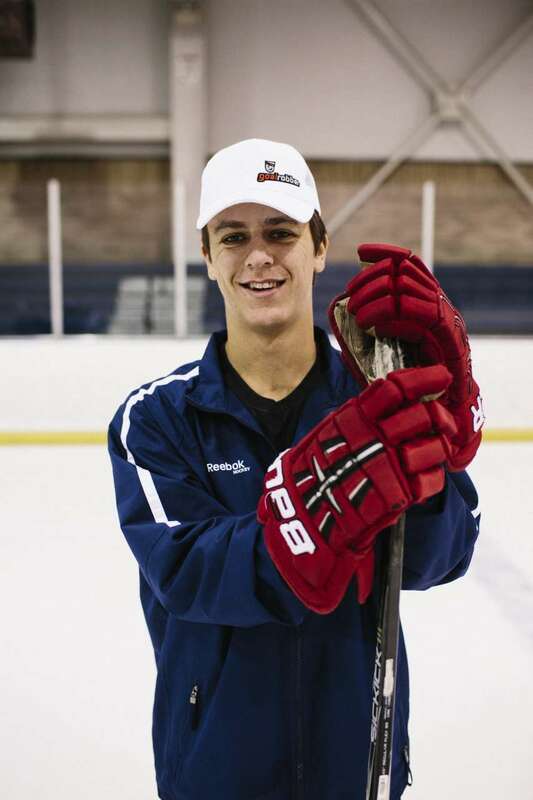 During his post high school career, Nate played for the NAHL Junior “A” Bismarck Bobcats and continued on to the collegiate level to study and play in the MIAC as a part of the Saint John’s University hockey program. 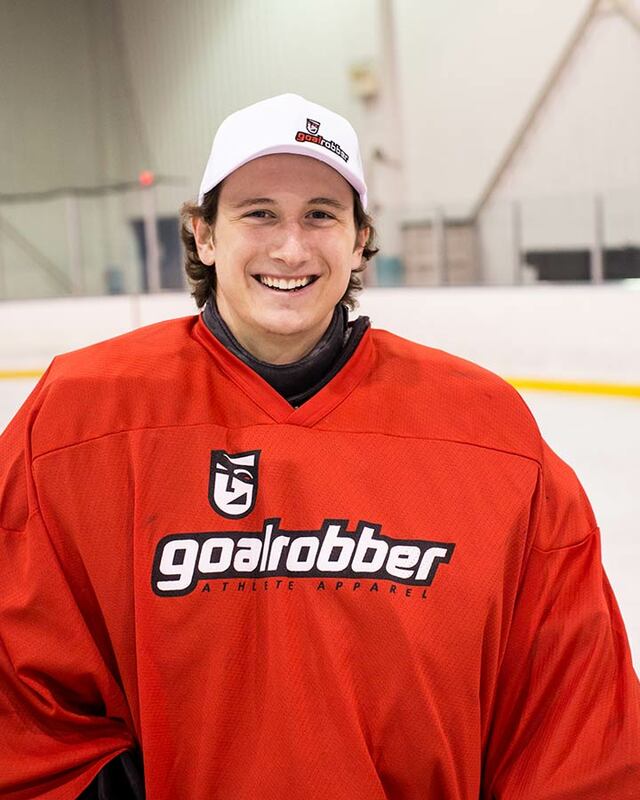 As a student of the game, Nate has been involved with coaching at many different levels, and this passion continues to fuel his love for goaltending. 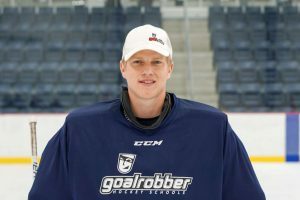 He is currently in his 15th season as the founder and head coordinator of Goalrobber Goalie Schools, 14th season as the Bismarck Hockey Boosters goalie coordinator, and 14th season consulting the Bismarck Century High School Patriots. 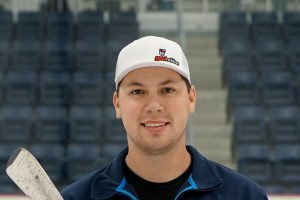 He is a level 4 USA coach and Bronze level USA goaltending coach. In addition to coaching, Nate is a fierce learner and loves teaching. He has taught high school mathematics and is a chess coach at Shiloh Christian School in Bismarck, ND. He also plays and teaches guitar. In 2012, Nate earned his masters degree in Math Education and is currently working on his Ph.D. in Educational Research through the University of North Dakota. Devon Butz grew up in Bismarck, ND playing hockey since age four. 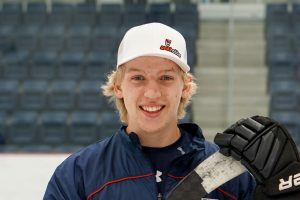 Devon played high school hockey for the Bismarck Century Patriots where he earned many notable awards including West Region Team Champion, All-West Region, All-State, and the Goalrobber Hardest Worker Award. Following high school, Devon played one season in Owatonna, Minnesota for the MNJHL Steele County Blades; there he received the team’s hardest worker award. Devon earned his Bachelor’s degree in Dietetics at the University of North Dakota. He is a Registered Dietitian, has an American Council on Exercise Certification, a certified personal trainer, and certified yoga instructor. With growing knowledge in exercise and nutrition, Devon works as a personal trainer and aspires to assist others in building life-long health and achieving greater functional abilities. 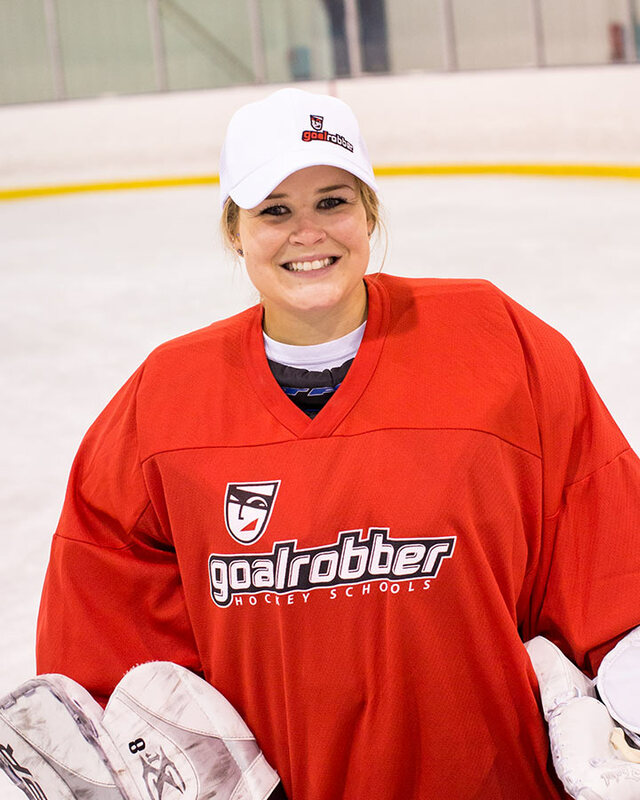 Devon was among the first Goalrobber students and has been on the Goalrobber coaching staff for over six years. He is now a full-time, year-round staff, and serves as an off-ice and nutritional expert for Goalrobber Hockey Schools. Aaron Nelson grew up playing hockey in Bismarck, ND for Bismarck Hockey Boosters. A graduate of Century High School, he playing two seasons with the Patriots. Looking to further his development, Aaron moved to Southern California to play for the Orange County Hockey Club 18AAA. Nelson later joined the local Bismarck Bobcats. In his three-year career, Nelson earned two Central Division Championships and invites to the Top Prospects Tournament in 2013 and 2014. Aaron played NCAA Division I hockey for four years as a part of the Minnesota State University – Mankato hockey program and graduated with a degree in Biology. Aaron currently plays for the ACHA University of Mary hockey program in their inaugural season and has been accepted to the Physical Therapy doctoral program. 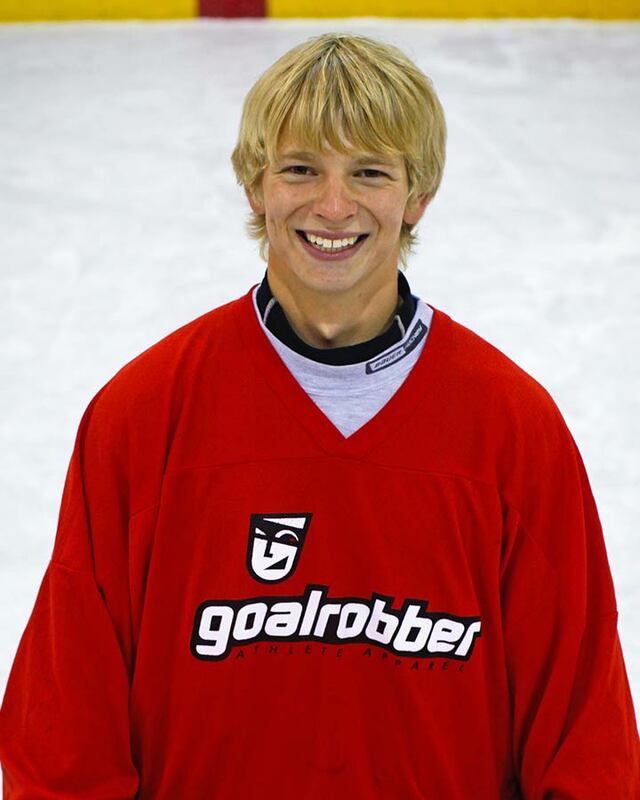 Aaron is a valuable Goalrobber staff member, specializing in on-ice training and mental training. Stephen Farnsworth began playing hockey at the age of four in Oceanside, CA. After moving to Bismarck at the age of seven, Stephen discovered his love of goaltending. He continued to play through high school, where he was a Century High School Patriot. Following high school he continued to play on several armature leagues in Fargo. While in Fargo he helped coach goalies of the Fargo Youth Hockey program. In addition to that role, he had a strong passion for volunteering for the Fargo/Moorhead Grizzlies, part of Minnesota Special Hockey, where he was awarded a coaching position. Since returning to back to Bismarck, Stephen has assisted with the Bismarck Hockey Boosters goalie practices. Ryan Hason played high school hockey for the Century Patriots. He attended camp for many years before becoming a coach last year. Ryan was also helped coach goalies for Bismarck Hockey during the 2014-15 season. 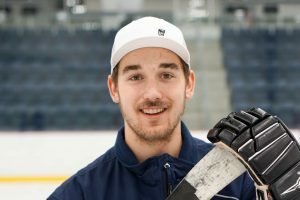 He is a student of the game and enjoys learning and coaching the newest techniques in goaltending. Ryan graduated with honors from North Dakota State Univeristy with a bachelors in Mechanical Engineering. He now specializes in on ice instruction and off ice strength training. 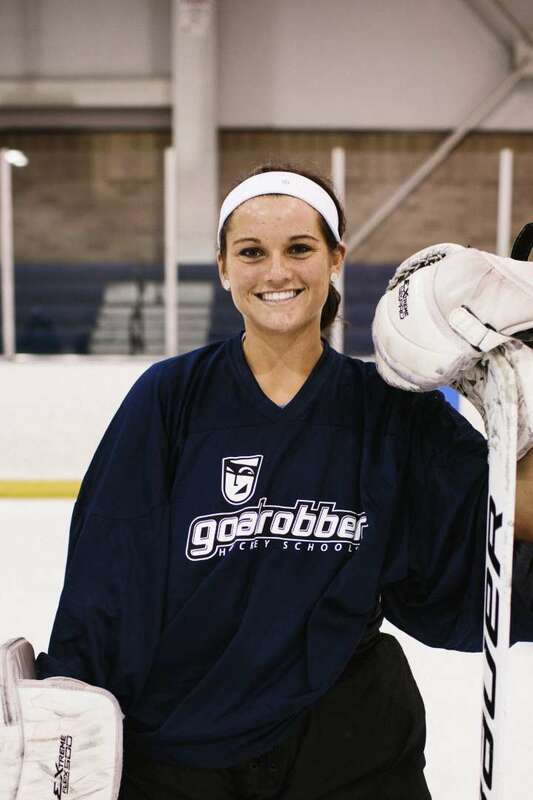 Kasandra Cariveau played youth and high school hockey in Bismarck, ND. She played on two state championship teams at the 14u level and received All-Region and All-State honors in high school with the Bismarck Blizzard. Kasandra tried out and made a women’s junior team in Minnesota but went on to play softball at the college level instead. Now, Kasandra is the goaltending coach for the Bismarck Blizzard high school girl’s team and also coaches Century’s JV softball team. Kasandra currently studies Physical Education with minors in Health and Coaching at the University of Mary. Kasandra is an expert in off ice and on ice instruction. Andy Speidel grew up in Hazen, ND. As defenseman, he enjoyed playing alongside his twin brother, Nate, where he developed a love for hockey. Andy was also an outstanding track athlete as he qualified in multiple events and became a state champion in the 800 meter relay. After high school, he earned his bachelor’s degree in Business and Master’s in Business Administration from the University of Mary. Throughout his life, Andy has taken an interest in health and fitness. He continues to run and bike and enjoys participating in races such as triathlons and half-marathons. Andy is passionate about wellness, travel, relationships, family, and his faith. He currently works as a regional safety coordinator for MSA. 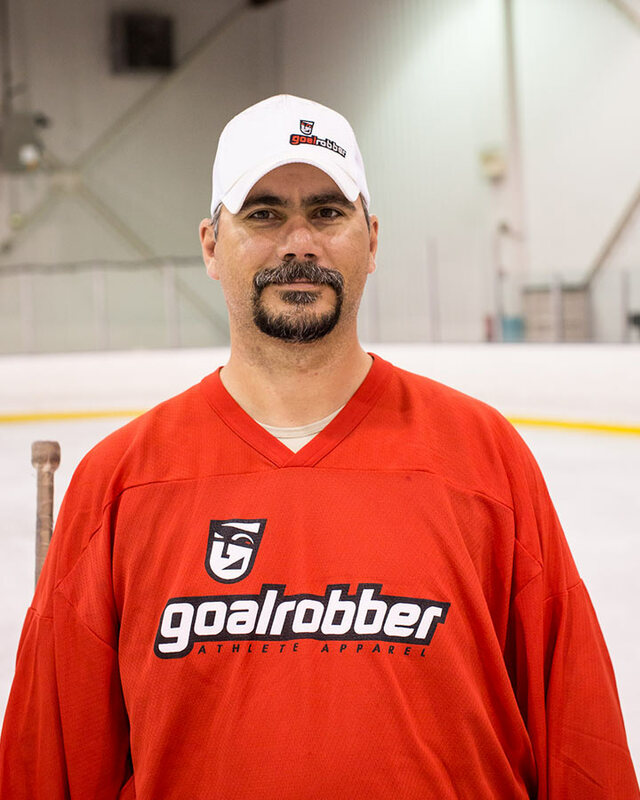 Andy has been an instrumental part of Goalrobber since the beginning, serving as a shooting coordinator. Dylan Zubke grew up in Watford City, ND where he enjoyed playing hockey. 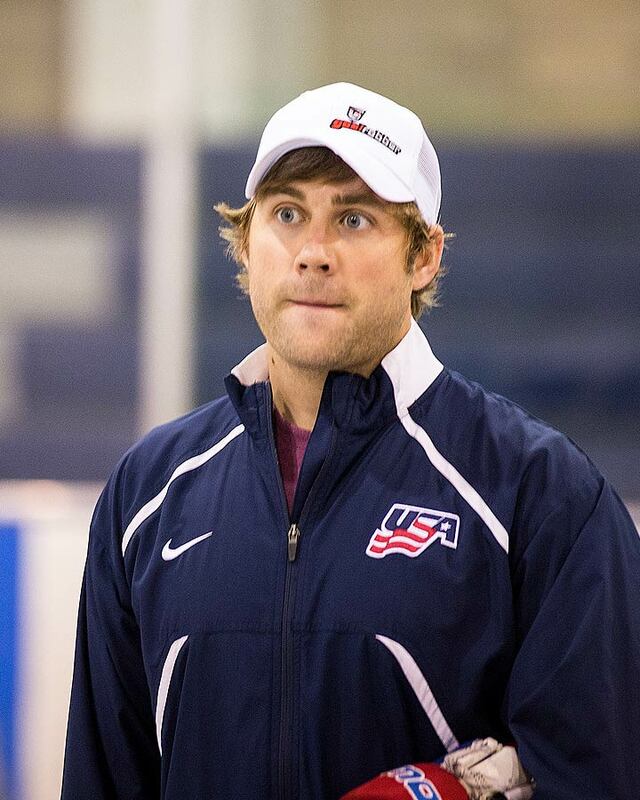 Since that time, Dylan has coached from youth to high school hockey, including USA hockey camps and Select tournaments. Most recently, Dylan coached for the Bismarck Century Patriots. He has experience as a high school teacher and now works for Edward Jones as a financial advisor. 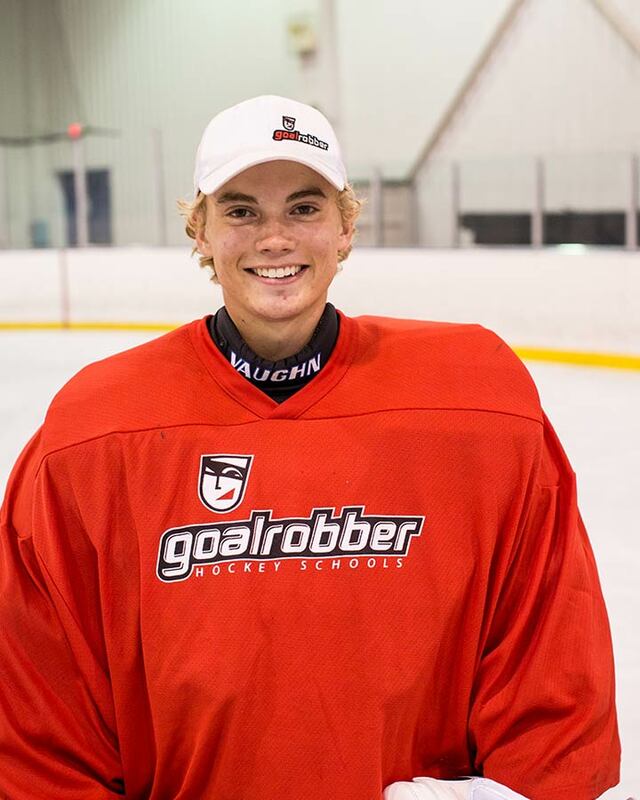 Dylan coordinates all of the shooters for camp and is a huge asset to Goalrobber. This is his second year on staff. Cam Knutson grew up in Bismarck, ND and attended Saint Mary’s High School. During his hockey career, Cam earned All-Region, All-State, and Academic All-Conference honors. He was also chosen as Bismarck Century’s Most Valuable Player and Century’s Mr. Hockey. Cam has been heavily involved in leadership activities through high school and college including North Dakota State Student Council President and NDSU Student Body President, among many others. Currently, Cam is involved in Real Estate development in Fargo and Bismarck. Cam is passionate about travel, leadership, and helping others. He has attended Goalrobber camps for many years and now serves as a valued staff member. Mike Hillman was a standout goaltender from Bismarck, ND. A graduate of Bismarck High School, Mike earned the achievements of All-West Region Tournament Team, All-West Region Team and All-State Team multiple times as well as receiving the Joel Ulness Award. In addition, Mike has played on and been selected to numerous elite and invite-only teams including ND Selects, the Upper Midwest HS Elite League, Dakota Predators AAA, Team North Dakota, the USJDP and the USA National Select Festival. 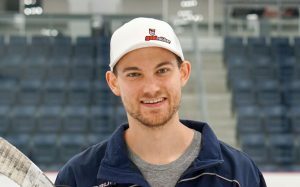 During Mike’s junior year, he was tendered by the Bismarck Bobcats of the NAHL and later joined the team after graduating in 2007. Mike remains a tremendous student of the game and has also served as a co-coordinator for the Bismarck Hockey Boosters goalie program. He specializes in goaltending history and on-ice techniques. He is a general “goalie nerd” – you have a goalie question, he’s probably got the answer. Clayton Mannie grew up in Hazen and was a goaltender there from peewees through his sophomore season. There he played his first varsity game in the eighth grade. Clayton played for Fargo South his junior and senior seasons. After gaining the starting position he was named Rookie of the Year in 1998 and placed third in the State Tournament. In 1999 Fargo South won the state championship and Clayton was named to All Region, All State, All State Tournament Team, as well as State Tournament MVP. That season he was also chosen to play for Team ND. Clayton played two seasons of Junior A Hockey in the now defunct AWHL from 99-01. He played the following season with the Concordia Cobbers in the MIAC before finishing his education at Valley City State University with a degree in Technology Education.Since leaving playing Clayton has coached mites and junior gold in Valley City and squirts, peewees, and bantams in Hazen Beulah. He was an assistant coach with Mandan High School for two seasons. He has a Level 3 USA Hockey Coaching Certification and currently teaches Technology & Engineering at Youth Correctional Center in Mandan. 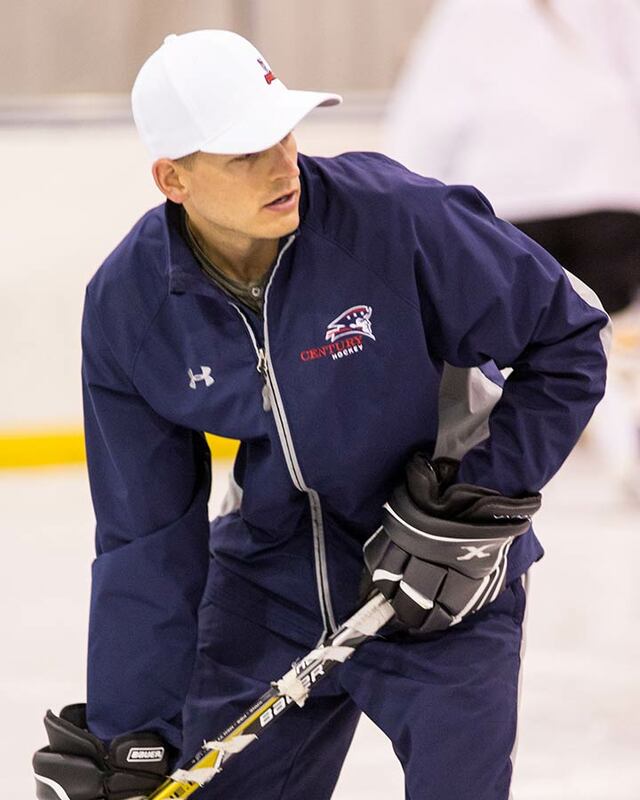 Clay specializes in on-ice instruction and the studentship of goaltending. Tim Jahraus played high school hockey for the Hazen-Beulah Northstars. Afterward, he attended school at the University of North Dakota where he played intramural hockey and earned his bachelor’s degree in Environmental Geoscience. Tim is a student of the game, studying the most recent goaltending techniques and equipment. 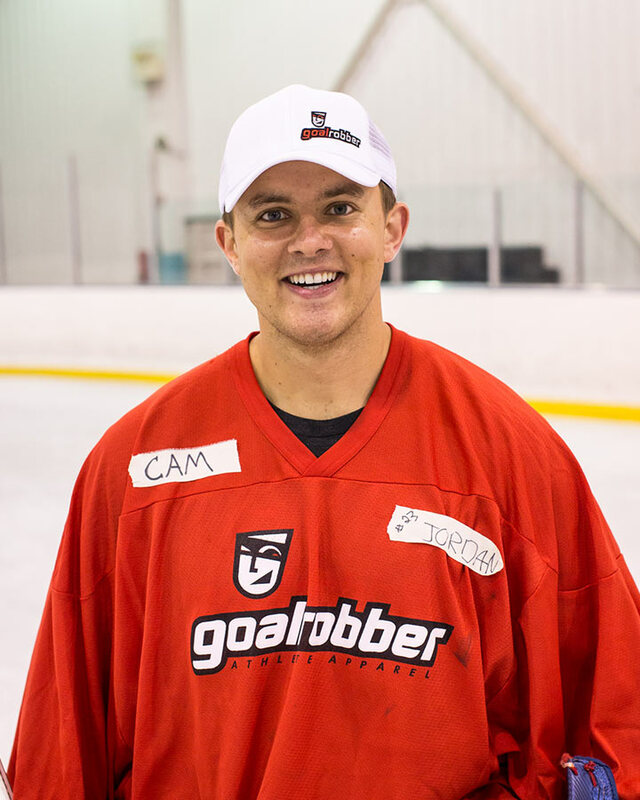 He has both attended and coached with Goalrobber camps for over 8 years. 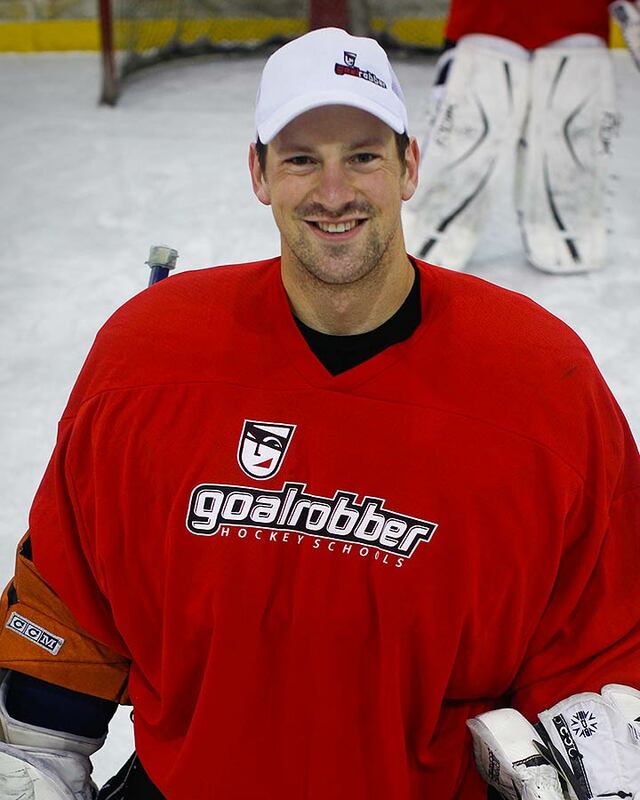 Tim also served as a goaltending coach for the Grand Forks youth hockey program for two seasons. He loves working with goalie equipment and on-ice instruction. Jason Gradzaleski played high school hockey in Halock, MN and graduated from Drayton, ND where he achieved all-region honors in football and set school track records in high jump and javelin. After high school, Jason played hockey for the Detroit Falcons for two seasons. He then joined the Army in 1991 and retired in 2012. 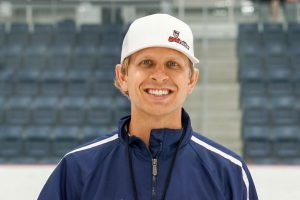 Jason has extensive experience coaching goaltenders in Grafton, Grand Forks and Bismarck and has served as assistant coach for the Bismarck’s bantam A program. 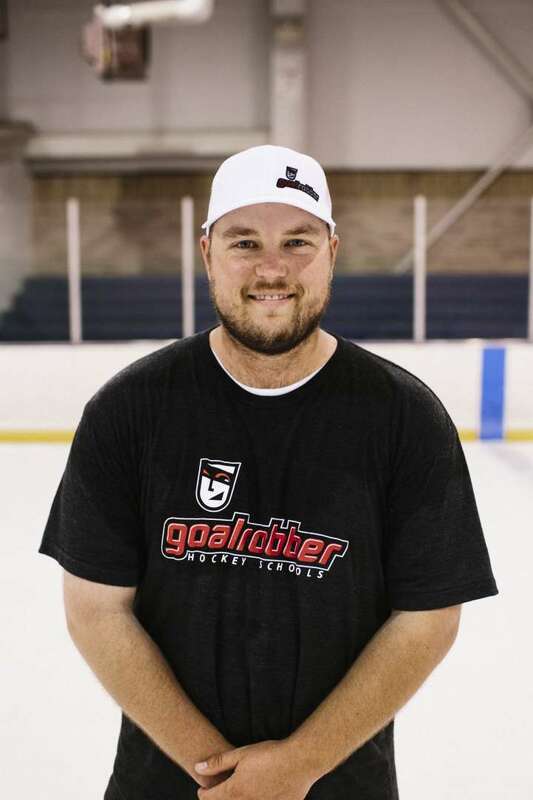 Jason has a rich knowledge base of goaltending history and specializes in mental toughness and character building. Alex Christiansen grew up in East Grand Forks, MN. During high school, he was a two time all-section and all-conference selection and a member of Team Great Plains in the Upper Midwest Elite League. Following high school, Alex played 2 years of Junior A hockey in Manitoba and British Columbia. He attended the University of Wisconsin-Superior where he played hockey, baseball, and received his Bachelor’s Degrees in Secondary Education & History. He currently teaches high school at the North Dakota Youth Correctional Center. 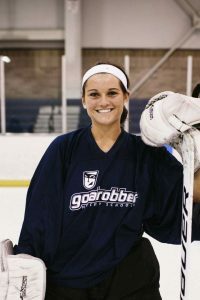 This is Alex’s first year on Goalrobber staff. Colton Stiefel grew up playing hockey in Hazen, ND. As a goaltender, he earned the team award for Hardest Worker during both Junior and Senior seasons. While at Hazen, he also earned All-Conference, All-Region, and All-State honors in football along with the title of Hardest Worker. He also took part in baseball and golf. After high school, Colton earned his Certifications as a Personal Trainer and Nutrition Coach through the International Sports Sciences Association. He has worked with individuals at the high school level, as well as with Division I athletes. He coached the bantam level for two years for the Grand Forks Youth Hockey program. Colton is currently attending Nursing School and working for Sanford Health with intentions of becoming a Certified Registered Nurse Anesthetist (CRNA). Colton is supremely knowledgeable in off-ice strength training and nutrition.